On a frantic day in the Premier League, Leicester paid tribute to their owner, Manchester United grabbed a late win and Arsenal got a point against Liverpool. Marcus Rashford's stoppage-time strike secured Manchester United a 2-1 comeback win at high-flying Bournemouth in an absorbing Premier League clash. Callum Wilson had given Eddie Howe's side a deserved lead but rejuvenated Anthony Martial's fifth goal in as many games somewhat fortuitously pulled his side level before the break. The Foxes owner died along with four others in a helicopter crash outside the King Power Stadium following last weekend's match with West Ham. 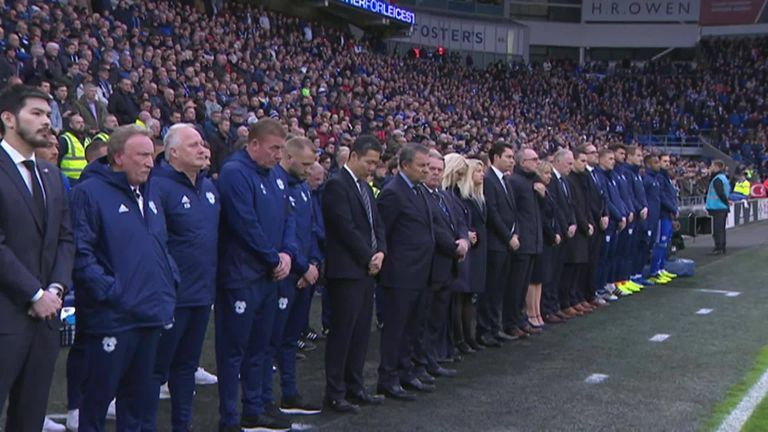 There were emotional scenes prior to the kick off of Leicester’s away trip to Cardiff as the whole stadium paid their respects to the passing of the five victims of last week's tragic helicopter crash. Newcastle got their first Premier League win of the season at the 11th attempt as Watford were made to pay for missed opportunities at St James' Park. Ayoze Perez glanced fellow substitute Ki Sung-yueng's driven 65th-minute free-kick home to claim a priceless 1-0 victory at the end of another testing week for Rafael Benitez's side. Liverpool looked set to go three points clear at the top of the Premier League only for Alexandre Lacazette to grab a point for Arsenal in an entertaining 1-1 draw at The Emirates. James Milner had given Liverpool the lead after Sadio Mane wrongly had a goal disallowed, but Frenchman Lacazette grabbed a point with eight minutes remaining, extending Arsenal's unbeaten run to 14 in all competitions. Tottenham returned to winning ways at Wolves, but were given a scare late on at Molineux in a 3-2 victory. Goals from Erik Lamela, Lucas Moura and Harry Kane had Spurs 3-0 up, but two penalties from Ruben Neves and Raul Jimenez made for a nervy ending. West Ham's record signing Felipe Anderson began repaying his price tag by netting twice in a rollercoaster 4-2 win against Burnley. Lewis Dunk's header had cancelled out Richarlison's fifth goal of the season midway through the first half, but captain Seamus Coleman answered his critics by putting the Toffees back ahead. Richarlison capitalised on Dunk's 77th-minute error to end Brighton's mini-resurgence and wrap up three points for Marco Silva's men.